Save Up To $400 Until December 31! 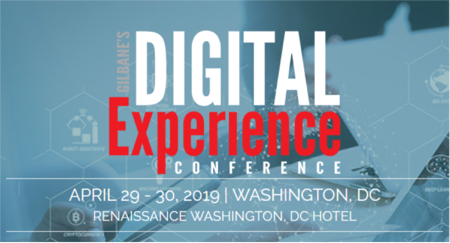 Before you head out for the long weekend, take a moment to register for Digital Experience Conference and take advantage of our Super Early Bird savings of up to $400 off the regular rate of our most popular conference passes. The program will be available soon, but you have the opportunity to save big right now. Register today to check this off your list before the New Year! Use code SUPER to save big and attend four co-located events, Digital Experience Conference, CRM Evolution, Smart Customer Service, and SpeechTEK when you upgrade your selection to the All Access Pass. This deal won’t last, so cash in on it today. Deadline for savings is 12/31.